How do we lead up? These leaders serve in churches which have made commitments to pursue racial justice and reconciliation. They each have senior—and older, white—leaders above them whose passion is less enthusiastic than they had anticipated. Given the biblical importance of reconciliation and justice, how could they influence change within their congregations? To be honest, my answers at the time were not that helpful. But their question is really important—so I’d like to take another crack at it. If I could re-do those conversations, here are the ten things I would share with those young leaders. A leader without ethnically and racially diverse relationships has no credibility to call the church to reconciliation across lines of cultural segregation. These relationships will become important as you receive the inevitable push-back on efforts to lead the church toward racial justice. In those moments, you will need the voices of diverse friends to anchor your commitments when others try to explain them away. 2. Pursue knowledge and resources. Most racially homogeneous churches—especially white churches—have gaping holes in their understanding about race. To lead up, younger leaders must become experts about race, racism, and white supremacy. Depending on the context, you will need to understand the history of immigration, housing segregation, and education inequities. Speaking precisely about these dynamics will be important when conversations get muddled and emotional, as they most certainly will. 3. Commit to the process. Leading a church that has been relatively disinterested about racial reconciliation and justice to caring about these gospel issues will not happen quickly. In my forthcoming book with InterVarsity Press I point out that we have all been discipled by race in this country. Recognizing the racial discipleship which leads to segregation and injustice and then counteracting it with the discipleship of the kingdom of God is a work measured not in weeks and months but in decades and generations. I know it can feel like you’re the only one in your congregation who cares about racial justice, but there are almost always co-conspirators to be discovered. Ask God to lead you to others who share your understanding of the gospel imperative to pursue reconciliation. Spend time in conversation and prayer together. Read books together like Trouble I’ve Seen by Drew G. I. Hart, Roadmap to Reconciliation by Brenda Salter-McNeil, Whole and Reconciled by Al Tizon, or White Awake by Daniel Hill. 5. Nourish a spirituality of racial justice. Those of us who’ve grown up in white spaces or within communities that worked to assimilate to white culture often lack a spirituality of racial justice. Whether intentionally or inadvertently, we have closed our eyes to the racial oppression around us as well as to the myriad ways Scripture calls us to be ambassadors of reconciliation. The best way to nourish a spirituality of justice is to worship with congregations that embody it. A friend of mine, a white woman, has joined a Latino immigrant congregation that is deeply invested in the current plight of migrants at the border. Each time I worship with one of the African American churches in our neighborhood, I find my imagination expanded for how God’s reconciliation has entered our world in Jesus. 6. Reframe racial reconciliation and justice as a formation issue for us. Churches that are growing in their awareness of the biblical priority of justice often frame the issue as something out there. We think in terms of those whose needs we can meet. Leading up will involve reframing this view so that the church begins to see the issue of racial justice as something that must begin in here. Before doing anything, a church must consider why its discipleship kept it on the sidelines of kingdom justice for so long. 7. Invite leaders into diverse communities. The social networks of most white people are extremely homogeneous. As senior leaders begin reckoning with leading their congregations toward racial justice and reconciliation, they will need to break out of their segregated networks. Many of these leaders will be unsure how best to take these steps—and you can help. 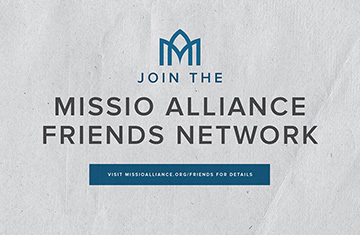 Having taken the time to cultivate racial and ethnically diverse friendships and networks, you can invite senior leaders to, for example, a city-wide worship service or a community organizing evening. As senior leaders spend more time in diverse communities, their commitments to the concerns of these communities—their fellow family members in Christ—will increase. 8. Empathize with your leaders. Leading a church to begin pursuing racial justice and reconciliation will be costly for senior leaders. They will receive the difficult emails and phone calls from which most younger leaders are spared. I’ve heard countless stories from leaders about the people who’ve left their churches once they began prioritizing justice. Simply acknowledging racism can be enough to make some people walk out of a sermon. As you challenge your leadership to be faithful to the gospel of reconciliation, you can also show that you see how difficult this can be for them and for the personal cost that only they can pay. 9. Affirm the small steps. The more you learn about the depth of racial injustice and the extent of white supremacy in this country, the more likely you are to see the need for large-scale, radical approaches to justice and reconciliation. However, in congregations with existing cultures and priorities, change comes slowly. You will need to see the mustard seeds and grains of yeast of the kingdom of God which are becoming visible in your context. Discouragement is a normal part of this work and your senior leaders will need to hear you, the standard-bearer for justice and reconciliation, affirm the small steps. 10. Keep your bag packed. A friend who serves in senior leadership within a large Christian organization told me that she has never settled into her office. Her briefcase is packed by the door as a reminder of the convictions about which she will never compromise. If she is ever asked to bend on those convictions, she can pick up her bag, shake the dust from her feet, and move on. Leading up requires great patience and celebrating small steps. But it must never demand that you compromise on the gospel priority of reconciliation and justice. After all, for much of our Christian family, these are not issues to discuss or theologies to debate; segregation and injustice lead to poverty, violence, and death. Those called to lead our churches into greater solidarity with our fellow Christians must never forget the embodied implications of this work. If we are asked to compromise on this, for the sake of the gospel and the well-being of our Christian kin, we must walk away. My list isn’t comprehensive, but these are some of the suggestions I’d want to share with those younger leaders. How would you advise women and men as they lead up to influence their churches toward racial justice and reconciliation?